A new renovation and extension to the Swiss Société Privée de Gérance (SPG) features a complex facade composed of four layers of glass. Designed by Italian firm Giovanni Vaccarini Architetti, the sophisticated building envelope offers a new aesthetic identity for the office headquarters while achieving energy efficiency. The facade is composed of a double skin envelope, which allows the envelope to be naturally ventilated. A perimeter ventilation system paired with an interior forced air system reduces overall energy demands on the building by addressing thermal extremes at the facade. Vertically oriented glass fins treated with a frit coating are employed as a solar shading device. 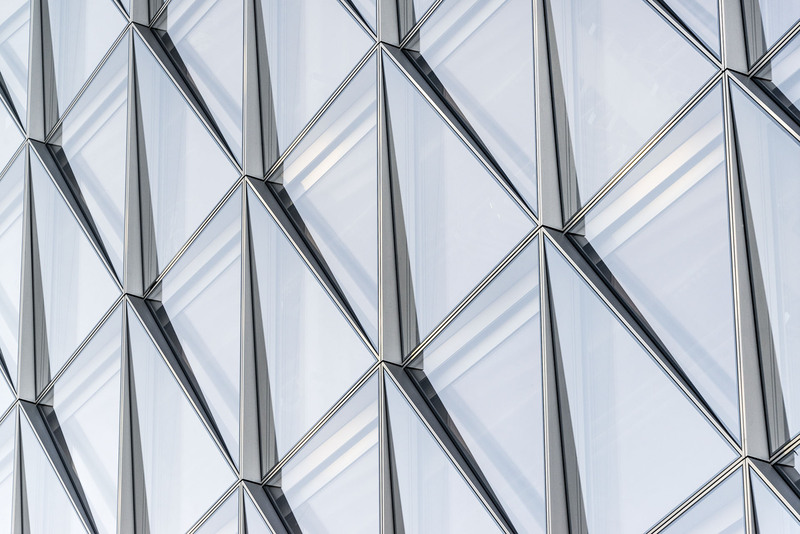 Stahlbau Pichler, the project's facade consultant, worked with the architectural team to develop the enclosure system's steel structural components which support the glass fins. The composition of glass and steel establishes a rhythmic composition that blurs light reflections, materiality, and the profile of the building. The facade system relies on repetition to produce these complex aesthetic effects. In a press release, principal Giovanni Vaccarini said the team’s design process was inspired by weaving: “Weaving is the first step in composing... the weaving is a rhythm of signs, an abstraction of meanings, figures, and suggestions.” Here, a triple-layer glazing assembly offers thermal protection, while the fourth layer of glazing is offset to establish a ventilated cavity space. Within the assembly, micro-perforated shading similar to Venetian blinds offer regulation of daylight. 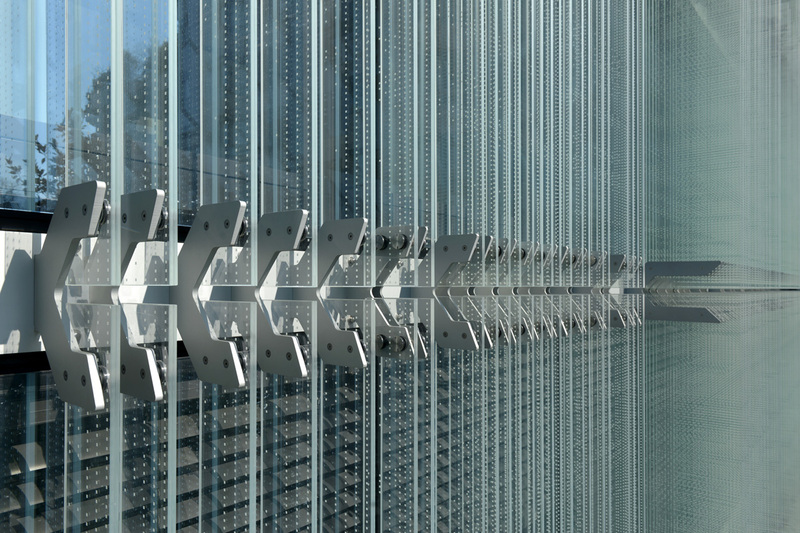 Outboard of the building envelope, the brise-soleil screens are composed of screenprinted glass. Stahlbau Pichler’s engineering helped to minimize visual distractions of the glass fin anchoring system. Their work also managed the 100-ton glass weight, a primary concern due to the structural constraints of the existing building. The effect of the facade can also be experienced from the interior, where Vaccarini says the assembly produces what he called an augmented window. “From the outside, the ‘thick’ surface of the screenprinted glass panels and the steel become a volume and define the very body of the architecture, whose outlines dematerialize into a pulsating material entity sensitive to color changes in the surrounding area,” Vaccarini said. “Our perception of the building is continuously transformed. The overlapping visions we have of it, from both the inside and out, produce a kinetic effect.” At night, the effect is intensified when glass panels and the edge profiles of custom-profiled aluminum anchors are lit by a bright white LED lighting system designed by SIMOS. This graphic further softens the perimeter surface of the building, producing what the architects call a visual reverberation effect. Surrounded by parkland and built on a former industrial site, the new JTI Headquarters is located in a Geneva district home to prestigious international organizations. JTI (Japan Tobacco International) is a global tobacco company whose flagship brands include Winston, Camel, Mild Seven, Benson & Hedges and Silk Cut. The competition-winning design consolidates four existing JTI premises within a single landmark building. The project—a collaboration between SOM’s architecture, structural engineering, and interior teams—was led by their London office, but involved expertise from SOM offices in New York and Chicago, along with architects on site in Geneva throughout construction. Kent Jackson, design partner at SOM, said the new building demonstrates SOM’s commitment to integrated design, sustainability, and innovative workplace solutions. "Clearly we feel it is a huge benefit to bring all of our disciplines together and bringing different experts from across our offices. This is something we think brings added value to a project." The building’s innovative Closed Cavity Facade (CCF) was designed in collaboration with Josef Gartner GmbH as a unitized curtain wall system that responds to the demands of seasonally changing external climatic conditions while providing exceptional views out and maximizing daylight penetration into the workspace. 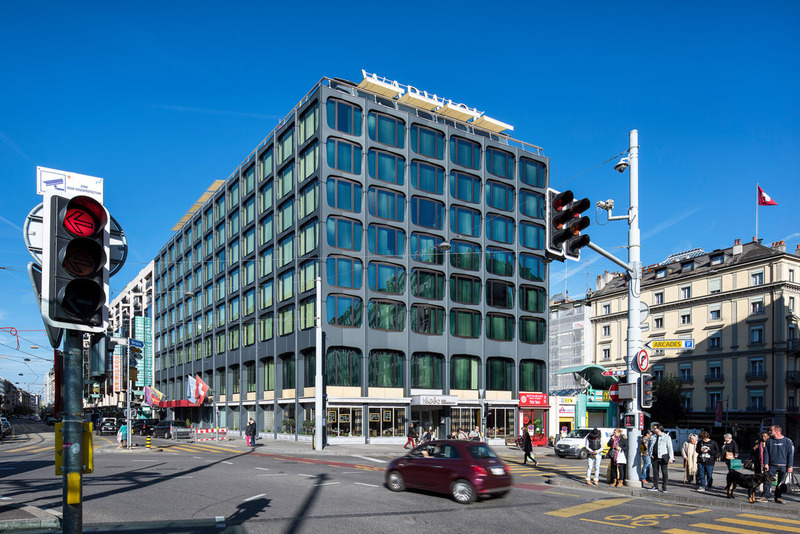 The facade prioritizes occupant comfort and reduces the energy demand and carbon emissions of the building, helping it to meet the requirements of European energy directives and the Swiss Minergie sustainability rating. The floor-to-ceiling glazed panels measure approximately 10-foot-wide-by-14-feet-tall and consist of triple glazing on the inner layer and single glazing on the outer, forming a cavity with a fabric roller blind in between. One challenge with a typical double skin facade is the risk of condensation and dirt in the cavity. This introduces the need to provide maintenance access to the cavity, either by opening up the interior side or exterior side of the assembly. The closed cavity facade at JTI reduces these requirements, because rather than drawing external air into the cavity, the cavity is pressurized with a very small amount of filtered and dehumidified air from a pipe system that runs around the perimeter of the building. This ensures dirt and moisture from outside don't travel through into the cavity, while also preventing condensation inside the cavity. 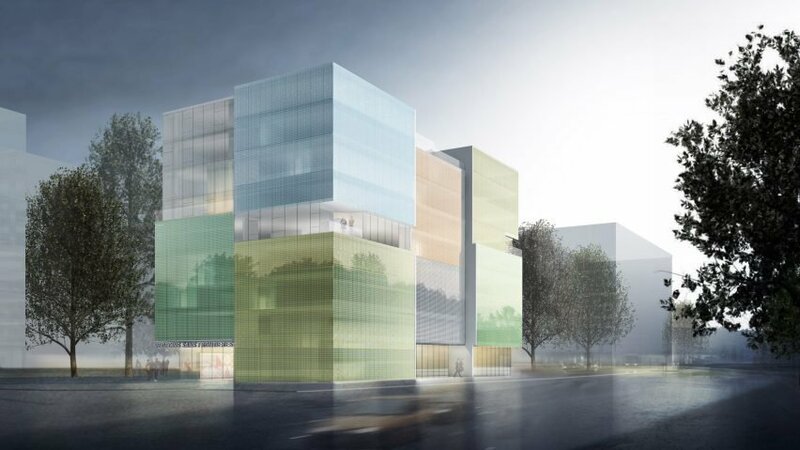 To achieve this design, SOM relied on facade contractors who have become skilled in the assembly of envelopes that minimize building air leakage. Martin Grinnell, Associate Director at SOM and Technical Lead on the project, attributes this to increasingly stringent air tightness standards in Europe, where many buildings undergo building envelope pressure testing. "We were confident we could achieve this design and get a very careful balance of air tightness with a modest pump in the basement to pressurize all of the facade panels." The German-made closed cavity facade was shop-built in individual unitized panels comprised of both the inner and outer layer of glazing. By producing these units in a controlled factory environment, the fabrication sequence could ensure the cavity remained clean throughout the construction process. The panels were tested in the factory for air tightness, and whilst stored in the yard of the factory they were temporarily tapped into an air supply system which kept the cavity pressurized prior to delivery to site. Once installed on site, the panels were plugged immediately into a network of pressurized air so that the cavity would not draw in dirty air or moisture from construction activity. With just a single glazed pane on the outer layer of the facade, Grinnell says the project team was able to produce a more expressive facade. “We were able to achieve a quilted appearance on the outside; incorporating very delicate mullions, transoms, and diagonal elements because we were using a single outer layer. We were able to facet this layer much more easily than if we were trying to do that with a double or triple glazed layer. 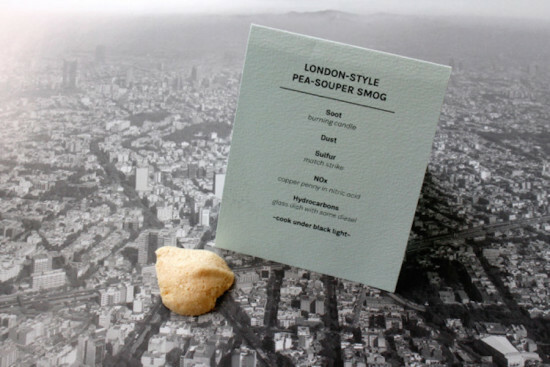 I think this lent a real delicacy to the detailing of the outer skin of the facade." Grinnell said the facade represents one of the best performing all-glass facade systems in SOM’s history. "This was a great project, and is a great demonstration of what a closed cavity facade system can do. We're very proud of it. All of the European countries—UK included—are pushing harder and harder on energy efficiency, and clients are quite rightly looking to us to improve the efficiency of our facades. We are going to be developing more and more facades which rely on dynamic performance—having to achieve very good solar control in the summer, while admitting sunlight in the winter—and the closed cavity facade is a really interesting solution to achieve that."